This research consists of two parts. The first part focuses on the development of the proposition that if there exists a type of function, then there exists a functional with the same type based on the proposition of the Inheritance and Generalizability properties of the function in a functional. This study presents the abstract convex, increasing positively homogeneous and convex-along-rays functionals via this proposition. The second part is on the investigation of the global search optimization algorithm use called the Cutting Angle Method (CAM) on Optimal Control Problems (OCP). Many algorithms are available for solving OCP, but they are basically local search algorithms. To overcome the problem associated with local searches, most OCP are modelled as Linear Quadratic Regulator (LQR) problems in the hope that the solution found estimates the true global solution of the original problem. However, in doing so, a lot of information carried by the original problem might be lost in its translation into LQR models. CAM being a global search algorithm is expected to overcome this problem. It can be used alone or in combination with a local search to find the global solution. CAM has been successfully used on functions; however, OCPs are functionals. 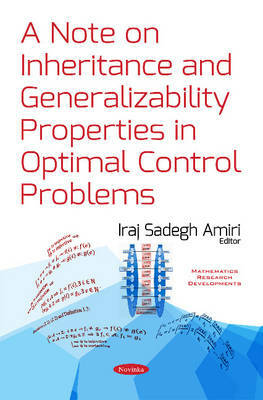 To do this, a model has been introduced based on Inheritance and Generalizability properties to demonstrate that the optimization algorithms which are used for functions can also be extended for use in functionals. Based on these properties, the study discovered that with the Unit Vectors Combinations Technique (UVCT) proposed in this research, and CAM could successfully work on functionals in general and with OCP particularly. To help speed up the convergence of CAM, the literature proposed the use of local searches for the determination of the initial solution. In a case study done in the research, CAM was successfully combined with a local search named the Dynamic Integrated System Optimization and Parameter Estimation (DISOPE) algorithm. Moreover, the initial solution given by DISOPE algorithm has been verified as global by CAM.